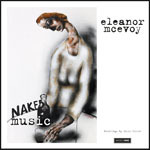 Share the post "Album review: ELEANOR McEVOY – Naked Music"
The closest we’ve got to a live album from Eleanor McEvoy, ten studio albums down the line was 2011′s Alone a record lifted from practice sessions never intended for release. It was pretty good proxy for a live album featuring much of her then current set, and performed, as per the album title, and as she does live, ‘alone’. It was rightfully well received. Since then, we’ve had If You Leave – in 2013 = and Stuff in 2014 a collection of singles, B-sides and ‘stuff’. Allegedly a reasonably prolific writer, it’s perhaps something of a surprise to find that her latest release is, in all but title, Alone Part 2. Repeating the formula, Naked Music was again recorded at The Grange, in Suffolk with recording engineer Dave Williams, mixed by Ciaran Byrne and produced, like all Eleanor’s independent output, by partner Mick O’Gorman. The result is another truly high fidelity studio ‘live’ recording one that takes ‘minimalism’ to a whole new level. It proves, again, that all you need to make a great record is the singer, and the song. And she does just that with an acapella version of ‘The DJ’ (lifted from her 2004 album Early Hours) where she impressively carries the melody with just her vocals. Elsewhere, she uses deft caresses of her guitar or keyboard to add the most subtle of underpinnings to her breathy, instantly recognisable vocals. One instrument, one voice – it’s a formula as old as the hills and one likely to see Naked Music and Alone endure in way that other albums will struggle to match. But no matter how good a singer, a songwriter is only as good as their songs. Prior to hearing Naked Music I didn’t think ‘Heaven Help Us’, from If You Leave with its soulful sixties infused organ sound could be improved upon. But here, Eleanor strips it back to its core with a timeless acoustic delivery that surprisingly surpasses the original. It’s a format particularly suited to her writing and works equally well when dipping back two decades to revitalise ‘Whisper A Prayer To The Moon’, from What’s Following Me? If there’s a disappointment, it’s the lack of new material. The gorgeous ‘Half Out Of Habit’ proves Eleanor’s not lost her touch, but a traditional cover (‘Oft In The Stilly Night’) apart, Naked Music is ground that’s been regularly ploughed live over recent years. So, Eleanor, some more new material please! Eleanor McEvoy is a Featured Artist at Get Ready to ROCK! Radio and her music is included in the singer-songwriter sequence, Mon-Fri 14:00-16:00 GMT. 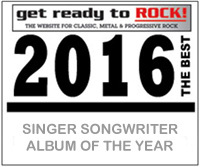 This entry was posted in ALBUM REVIEWS, ALBUM REVIEWS (Mobile), All Posts, The Best Of 2016 and tagged acoustic, album, Eleanor McEvoy, Naked Music, review, rock, singer, songwriter. Bookmark the permalink.